It’s every homeowner’s worst nightmare: waking up to the drip, drip, drip of a leaking roof. First, stay calm. Your roof may be leaking, but it probably isn’t in danger of collapsing. Until you can get a roofing pro on the scene, one of your first steps should be to find where the water is entering your home. We’ll show you how to find a roof leak fast. Most homeowners are first alerted to a roof leak when they spot water stains or drips from their ceiling. If you see damp patches on your ceilings or walls, it’s important to move quickly. Just because you see a single patch doesn’t mean the leak is isolated. Once you know where the point of entry is located, you can take temporary measures to stop it from getting worse. Your first step is to make sure the source of the water is a roof leak. In some cases, water stains on the ceiling indicate leaking or faulty pipes inside the home’s walls. Other sources of interior leaks include condensation, defective HVAC systems and hot water heaters. Check the sinks in your bathrooms and kitchen, and do a thorough interior inspection of all potential water sources to rule out interior leaks. When you’ve ruled out interior sources of the leak, your next step is to pinpoint the exact location of the leak. You do this by measuring the water mark or marks from two fixed points. This is important, as water stains on the inside of the home don’t always match up with the water’s entry point on the home’s exterior. Use fixed points that extend up into your home’s attic, such as a chimney or an exterior wall. This will give you a “roadmap” for tracing the leak once you’re in the attic. If you can safely access your attic, head upstairs with a flashlight and the measurements you took downstairs. Keep any overhead lights turned off and use your flashlight to shine light on the areas that correspond to the measurements you took downstairs. Because light reflects off water, you may be able to spot the leak’s entry point in your home’s rafters or decking. Work from the inside out of the area that corresponds to your measurements. In some cases, an attic inspection won’t turn up any obvious water entry points. For example, if you inspect your attic while the weather is clear and dry outside, you might not see any water coming in. If this happens, you can try to recreate rainy conditions by saturating your roof with a garden hose. If you try this, however, make sure to keep safety a top priority. The good news is that not all roof leaks mean that a roof is in need of total replacement. In some situations, you may be able to repair a rotted section of decking to stop leaks. 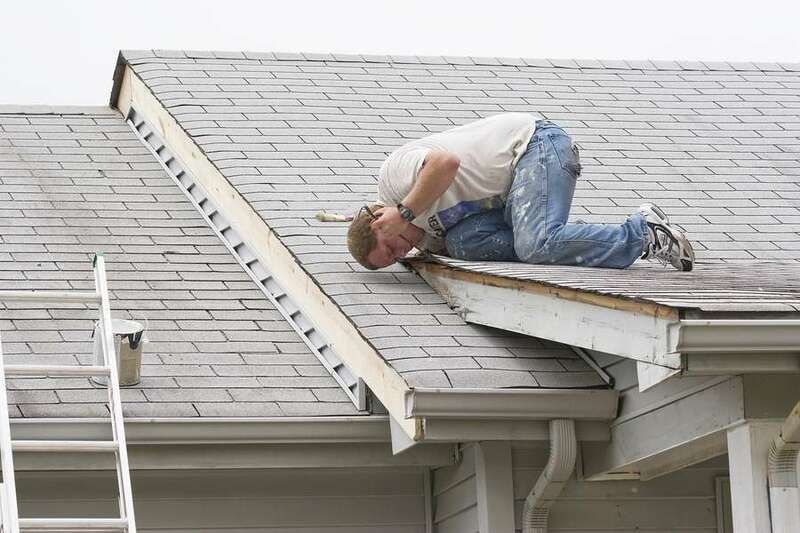 However, roof leaks can also indicate a more widespread problem. This is why it’s important to work with an experienced roofing contractor to determine the scope of the leaks and to track down any other water entry points. Once you know where the water is entering, you can determine whether your next step is a roofing leak repair or a roof replacement. For more than 30 years, Nu Look Home Design has helped homeowners protect their investments and enhance their home’s beauty with the latest roofing designs. Contact us today to discuss your roofing options. Call (800) 279-5300 or email us at info@nlhd.com.